Prices are subject to change without notice. We reserve a right to limit our delivery area. 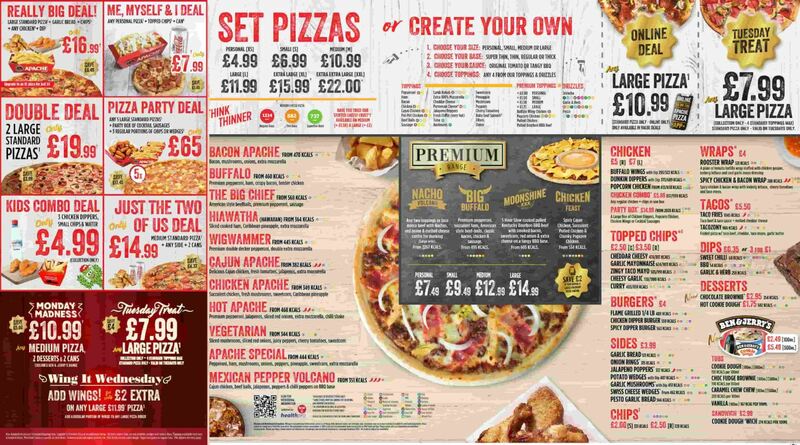 Any pizza on a coupon or deal refers to any standard set pizza or four toppings (excluding premium range) subject to the discretion of the manager. Drinks in meal deals refer to 500ml water or 330ml can of Coke, Diet Coke, Fanta or Sprite. Sugar tax applies to regular coke. Selected stores use turkey bacon as a substitute for pork bacon products. Ask in store for details. There is a surcharge with Cheesy Crust on pizza. €4.99 Student Deal is available seven days a week until 6pm. Student Deal available for collection only subject to manager's discretion. 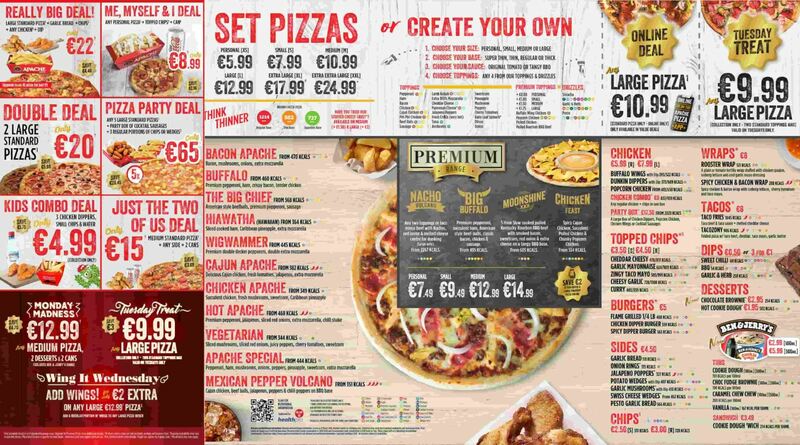 Premium range online discount of €2 refers to any large premium range pizza ordered online. Driver charge may apply. See your local store for T&Cs. Size guide: Kids- 5", Personal- 7", Small- 9", Medium- 11.5" & Large- 14". If you can not view or open this file, you may require Acrobat Reader.